From time to time, Apple will offer free out-of-warranty repair services for devices and hardware that are determined to be dysfunctional or defective. For example, many users experienced the failure of their iPhone 5 lock / power button, and Apple later determined that some of the devices manufactured were susceptive to power button failure, thus beginning the iPhone 5 Sleep / Wake Button replacement program. I sent my own iPhone 5 in for service to take advantage of that free repair, and I’m very glad I did. 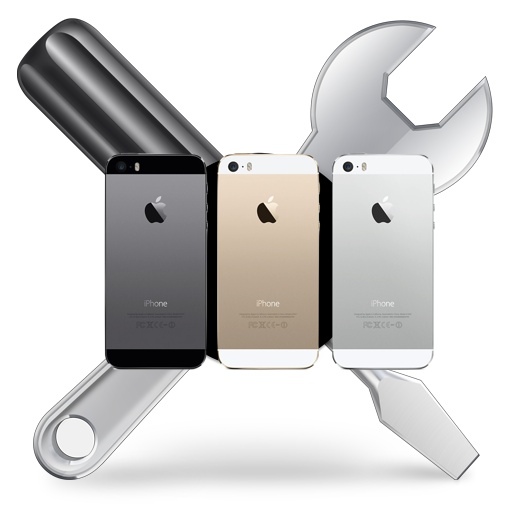 The obvious benefit for using the free repair service is the direct issue gets resolved. In this case, the iPhone 5 sleep/wake button was replaced. But that’s not always where the repairs end. Because Apple runs thorough diagnostic tests on the device before sending it back to you, they may discover other issues, and, because their customer service is quite generous, they often repair the other issues while they have the device, at no cost to you. That brings me back to my own iPhone 5 which was recently sent in, and not only did Apple repair the malfunctioning Lock / Power button, but also the camera (regular readers may recall that the camera was mysteriously loose and sometimes not working, an issue some other users reported), and Apple even gave the iPhone a brand new battery – which as far as I knew, had no issues at all – but the new battery does last a significantly longer amount of time. Is that awesome or what? The top item listed is the sleep/wake/lock button which the iPhone was originally sent in for, next on the list is the battery, and last is the new camera. All repaired by Apple on an out of warranty iPhone, for free. How Long Do Apple Repairs Take? If you’re located near an Apple Store, sometimes they can repair the device that day, sometimes it’ll take a few days, and sometimes they just swap you out with another device onsite immediately. What happens really depends on a variety of things, ranging from the issue being repaired, the rep you work with, and the stores availability of replacement components. Visiting an Apple Store is inconvenient for me, thus I went for the mail-in route. After making a repair request through the Apple site, Apple sent a box through FedEx and it arrived the next day, and I sent the phone off immediately. It went to Apple’s primary repair center in Elk Grove, California, and was returned to me within the same week, in total it was gone about 4 full business days. For a mail-in repair service, that’s quite fast, and certainly much faster than most other repair services I’ve worked with. Keep in mind this is for out-of-warranty devices. If your iPhone is still under warranty, they’ll usually just send you a new iPhone right away, and the box sent with it is used to return your malfunctioning device with – meaning you’re never without a phone. The big thing to remember when sending an iPhone (or any item) for repair is to back up all your data first. For the iPhone, that means backing it up to a computer with iTunes, or to iCloud, or better yet – both. This lets you quickly restore your stuff when you get the phone back, without missing a beat. Also, don’t forget to turn off Find My iPhone (otherwise the iPhone could be stuck on iCloud Activation Lock), remove any cases from the iPhone, and Apple prefers it if you reset the iPhone to factory default settings before sending it in too. Assuming you talk to an Apple rep on the phone or through online chat, they’ll walk you through all these processes as well. Obviously not every iPhone or device sent in to Apple will receive additional repairs for free, but there’s certainly a chance something else will be found and they’ll fix that as well. So if your iPhone is eligible under the Sleep / Lock button replacement program (or any other free repair service for that matter), why not send yours and see what happens? At the very least, your power button will work again. A friend of mine took their iPhone in to the Apple Store, said the top button wasn’t working, and within 2 minutes he was given a brand new iPhone – no hassle, no paperwork, no questions asked. A coworker also had a similar experience, but got what is probably a refurbished unit immediately (didn’t come in the normal iPhone box but otherwise looked brand new). So yea, if you can take it to an Apple Store location, I think you usually just get a new or refurbished phone immediately. But mailing it in, perhaps they do the repairs and fix other stuff too. Either way that’s a pretty good deal. Also keep in mind that many credit cards extend the warranty on purchases, so if you have an issue that isn’t effectively covered by Apple then you can often work with VISA / AMEX / etc to get it fixed. Did you have to pay for the replacement iPhone 6? How long did it take for it to arrive? I sent in my 5 because of the power button issue, and within 2 minutes, the AASP (there’s no Apple stores in Malaysia) gave me a brand new iPhone 5S (they didn’t have any 5 in stock)! I just sent my 1st gen. Nano in (via free UPS mailer) because it was on Apple’s list for possible battery problems. I had bought my Nano at the Apple online store literally seconds after it went on sale. It was still working just fine but I figured what the heck. Two days later I received a new (or maybe refurbed but who cares?) 7th gen. Nano sans extras but I already have tons of earphones and lightning connectors. So I got a touch screen, 16GB ssd, video and FM capable device with better battery life, larger screen and much smaller overall size in exchange for a 1st gen. Nano at no cost to me whatsoever. I had Apple Care on the 1st gen. Nano but it had long ago expired. Yeah, I’m happy! I took my iPhone 5 in with the power button issue, when it came back it had some crazy bite message and we were unable to restore it. I found out anytime apple services a device, when you get it back it comes with a 30 day warranty. I ended up getting a brand new iPhone 5, thanks to the tech and manager, they told me about this. FYI in the future if you ever take your iPhone in for service, when you get it back you have a 30 day warranty for free. It doesn’t matter if your iPhone is already out of warranty. It is actually a 90 day limited hardware warranty for any hardware issues that may arise after a repair. As long as there is no accidental (liquid or physical) damage on the device. So it goes in for a defect. While they’re fixing that defect they notice another and put it right. At this point I’ve not seen them do anything altruistic. On top of that they upgrade to the next iOS, (which I might not want). Apple did something similar with my MacBook… took it in for a covered repair, they replaced the battery too. Cool! I also know multiple people who have taken their iPhone in for a malfunctioning camera or lock button or home button and who have been given brand new iPhone as a replacement. I think it depends on what they have in stock, how busy the Genius Bar repair service is, the store management, and perhaps even you the customers attitude. Be nice and they’re usually very nice in response, honey attracts bees! If you are in Australia you are automatically covered by Apple for 24 months “and beyond” depending on the fault. The best consumer protection system in the world! Thanks for the tip, Paul. As a result, I took my 5 in yesterday for the power/wake button issue. As part of the diagnostics, Apple noted the battery was at less than 80%. I was notified that the repair team may fix both the power button and battery when it goes for repair… OR they may decline to do both. Fingers crossed on getting them both fixed! My iphone 6 plus has a defective camera just got it last dec 19, 2014. I brought to Power Mac, Virra Mall, Greenhills last Dec.23, they told me they’ll call me re status of my iphone and they did this evening (8 PM, 28 Dec. 2014). The girl said since the only thing that is defective is the camera they will just change the camera & not the unit. This is unfair! They should change the unit & not the camere only! Because if they do that, that means they will open the unit! Which i don’t like the idea! They should change the unit! Otherwise I will be rompted to call my lawyer! Good to hear others having better experiences than I with the repair program. I sent my 5 in for lock button repairs a few days ago and just got an email from Apple explaining how my phone’s frame is bent/dented as well as the screen is separated from the frame. I’ve never had an issue with my phone other than the lock button. I’ve never noticed it to be bent/dented beyond normal wear and tear. And I’m sure as hell my screen was absolutely NOT separated from the frame when i sent it in. Now Apple wants me to pay $280 for repairs or else they’ll send it back unrepaired. On top of all this, I have to pay $30 to talk to an Apple rep about just fixing the button and nothing else? So now I’ll get a phone back that’s actually worse than when I sent it in! I imagine some idiot Apple worker dropped it and the screen split and to avoid getting in trouble, how convenient to say it was like that when it arrived! What a load of crap, will never buy Apple again. Apple refused to repair my iPhone 5s and they said it third party has in the phone . I have paid a lot money for the phone and never do anything with it and one day won’t turn on still only 6 months old . i bought my iphone 6 plus on 18 mac 2015 , on 21 may 2015 suddenly the battery drop from 50% to 6%. after that cannot charge at all. i sent my 6+ to the store i bought it, and the store sent it to apple service center. i feel unhappy because they will open my 6+ to repair, its like my 6+ will be in bad condition and not new anymore which i just used it for 2 months only, this is sad. i hope they will change it with new set, hopefully. i am from malaysia. I bought my 6+ 8 months ago en it got some camera problem,will my warranty work if take it back to the seller (dubai) confused. In my experience; Nothing short of amazing how this company has bent over backward to replace my ineffective apple devices. Which of course is the way to do business, makes it a win win for customer and overall win for the business as well. Call AppleCare 1800myApple and courteously bypass initial person intended to help you who is essentially an operator speaking from a script “send $150.00 and your phone blablabla..” u must ask for a “Senior Adviser” know how to do business within warranty or not, and essentially you will hang up with a new or sometimes refurbished device within days. Courtesy of the FedEx and the postal service. Almost forgot to mention the most important point of my post(s): All service at no cost. As well as shipping and delivery. Free. Apple will do anything they can. You just need the gift of business savvy. They’re one of the businesses that understand the importance of customer satisfaction. You’ve got a lot of sway when you pay $500.00+ for a device that’s now malfunctioned from a company with profits out the a*s, because of your business. My ipod nano 6th generation power button is stuck. I heard it’s a common problem. This seems like a good service to use to fix it.